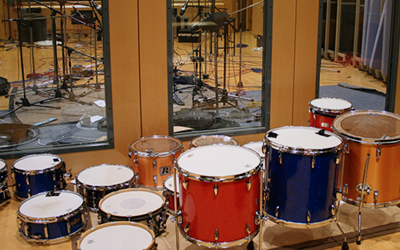 BFD London Sessions is an expansion pack for BFD3 and BFD Eco featuring the BFD2 factory library recorded at London's AIR Studios. It includes a detailed collection of 10 vintage and modern kits with dramatic room sounds tracked through the magic of a custom Neve console. 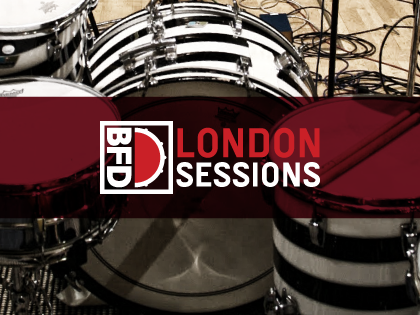 With 49GB of data and over 80 kit-pieces offering huge timbral variety, BFD London Sessions also provides a wide range of mixing options. The legendary room at AIR's Lyndhurst Hall is captured by 2 pairs of room mics including a mid/side set capable of anything from true mono to richly expanded stereo. The mixing flexibility is further enhanced by 3 direct snare mics and far room mics packed with character and a huge sense of space. The Neve console's AIR Montserrat preamps and Prism converters are used throughout, resulting in a warm yet defined sound. A huge range of rock sounds are made possible by the room mics while the punchy direct mics and silky overheads are suitable for all kinds of music from funk and jazz to pop, country and much more.